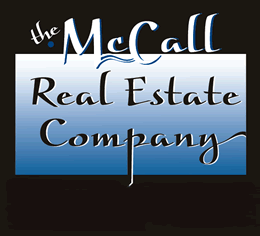 OVERVIEW – McCall, Idaho is the heart of Valley County. It’s a mountain community perched on the shores of Payette Lake and is surrounded by the Payette National Forest. This small town was once known for logging, but is now an all-season outdoor recreational destination. Ask any local why they live here and most will tell you; it’s because all their favorite activities are right outside their backdoor. In the summer and fall McCall has some of the best mountain bike and hiking trails. Not to mention the pristine glacial lake that offers boating, paddling, and swimming. When the snow starts to fall, McCall can boast that they have the highest snowfall amounts in the state. This large annual snowfall is what attracts many winter sports enthusiasts. You can alpine ski at two mountain resorts , Nordic ski on world class trails, and snowmobile to natural hot springs. There are many little resort town in the US, but what makes McCall unique is the community. The people who live here are warm, friendly, active, and laid back. There is no “Locals Only” attitude in McCall that is prevalent in other resort towns. The residents of McCall will share their favorite hiking trail, help you carry groceries, and welcomes all its visitors with a warm smile and a friendly hello. Most move here for the recreational opportunities and end up staying here because the community is such a great place to raise a family, retire to, or just make your home away from home. DINING – You will only find one chain fast food restaurant in McCall, Subway. The rest of the dining options are local establishments. Everything from fine dining to hole in the wall local favorites. McCall has two local breweries, Salmon River Brewery and McCall Brewery. Both have delicious hand-crafted beer. Salmon River Brewery (known to locals as SRB) won a silver medal at the North American Beer Awards for the P.F.D. Pale Ale. Fine dining can be found at Shore Lodge, Steamers, and Rupert’s. Steamers and Rupert’s are fine dining with a laid back attitude. You can enjoy gourmet eats without the coat and tie stuffiness. RECREATION – Every season offers something different to do outdoors. You name it, McCall has it. Brundage Mountain Resort, Tamarack Resort, and Little Ski Hill are all within 20 minutes from downtown McCall. Ponderosa State Park is in the city limits and has world class Nordic ski trails in the winter and hiking and biking trails in the summer. Payette Lake is the jewel of McCall. Summer activities revolve around the lake for all visitors and residents. You can boat, swim, paddle, or lay on a beach all summer long. If you’re looking for organized activities for the family, McCall has something for everyone. Dance studios, Manchester Ice & Event Centre for hockey leagues and figure skating lessons, Little Ski Hill for after school ski lessons, optimist football league, soccer teams, judo, and even crossfit. SCHOOLS – Home to the McCall-Donnelly Joint School District. Each school in McCall is focused on the success of every student. What really sets McCall’s schools apart is the dedication of the teachers. Teachers go above and beyond. They hold tutoring sessions before finals on Saturdays. They set up reading groups after school for students falling behind. Parents can really appreciate the dedication and the small class sizes at each school. District wide McCall has an average of 14.8 students per teacher. Barbara R. Morgan Elementary – Named in honor of Barbara Radding Morgan, the American teacher and former NASA astronaut. Barbara was a teacher from 1975-’78 at McCall-Donnelly Elementary School in McCall, Idaho. Morgan was originally trained as the backup to “teacher in space” Christa McAuliffe, who died in the 1986 Challenger explosion. Morgan waited in the wings for more than 21 years for an opportunity to fulfill McAuliffe’s mission. She took her historic, long-delayed ride into space on mission STS-118. The community is very proud to have had her as a teacher. Payette Middle School – Home of the Vikings and 2013 District Football Champs. The vision of the Middle School is that school is a place where people want to be, learn and grow, find relevance, become independent, and experience a sense of belonging in the community. McCall Donnelly High School – Donnelly High School has received many awards for excellence. McCall – Donnelly High School (MDHS) has met the requirements of the AdvancED Accreditation Commission and has been accredited by the Northwest Accreditation Commission since 1946. MDHS is an Idaho Department of Education 5 Star school. Additionally, MDHS has exceeded the expectations for Newsweek Magazines “Americas Top High School” ; is on US News and World Reports “Top High Schools List”; and has been a School Match “What Parents Want” honoree acknowledging the top 15% in the nation.